What’s in a name? According to Freakonomics, your name can reveal a lot about you, including your socioeconomic status and the political leanings of your parents. But what about your parents’ favorite movie characters? 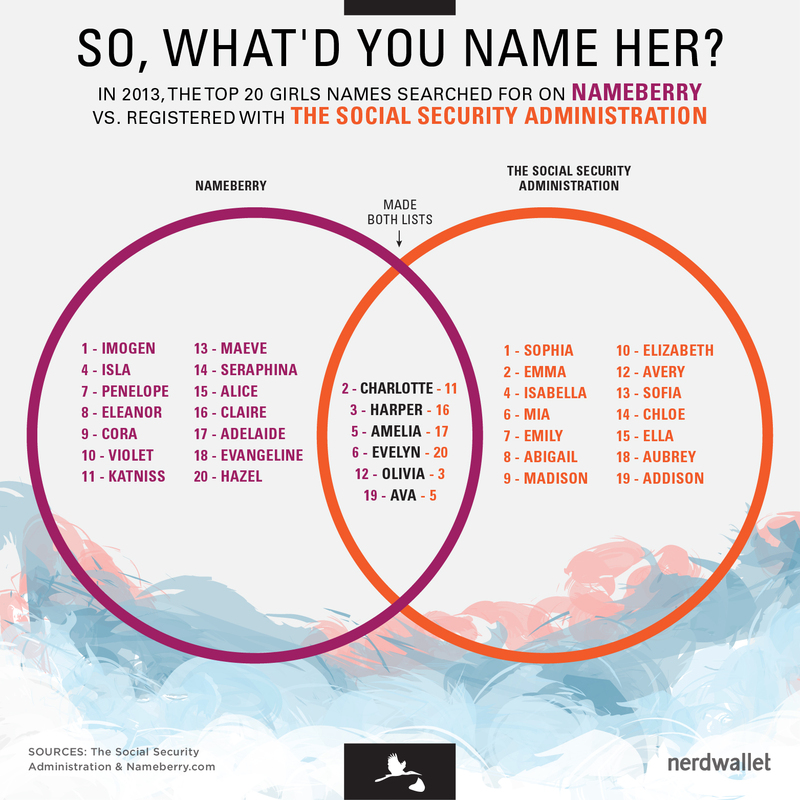 Nameberry, a site that bills itself as a smart resource for background about baby names, says that among the top 100 girls names for 2013 their users wanted to know about two in particular that featured in recent popular films—Katniss and Merida. “The Hunger Games,” a dystopian tale with the bow-and-arrow-wielding Katniss as its hero, came out in 2012 and grossed $686.5 million; a sequel, “Catching Fire,” was released the next year and collected $853.9 million. And “Brave,” about a medieval Scottish princess called Merida with wild red hair and a fierce independent streak, brought in $535.3 million in 2012. Nameberry suggests that, as a result of the success of these films, Katniss and Merida placed 11th and 47th on its 2013 “popularity list”—and Katniss had been No. 1 the year before. Among the boys, Django made the top 15 in 2013. These figures get repeated in the media, with headlines like “‘Game of Thrones’ and ‘Hunger Games’ names seem popular for babies” and claims that the figures make “worrying reading for fans of traditional given names.” But do they really? What influence, if any, does pop culture have on the names people actually choose for their kids? Looking at data from the Social Security Administration, it’s clear that when it comes down to it, people stick with safe and traditional names, no matter how big of fanboys (or fangirls) they are. In 2013, a mere 17 girls were named Katniss and 109 were named Merida. Even fewer families (15) followed through on Django. In 2012, Nameberry’s list went 2 for 20 on girls names and 3 for 20 boys names. And in 2011, the results were 2 out of 20 for girls names and 2 out of 20 for boys names. So when you see reports declaring that the hottest baby names of 2014 include Khaleesi from “Game of Thrones” (at No. 18) and Elsa from “Frozen,” and that “names that rank high in 2014 show the continued influence of celebrities and pop culture,” remember that, like celebrity and pop culture themselves, it’s a little bit ridiculous.